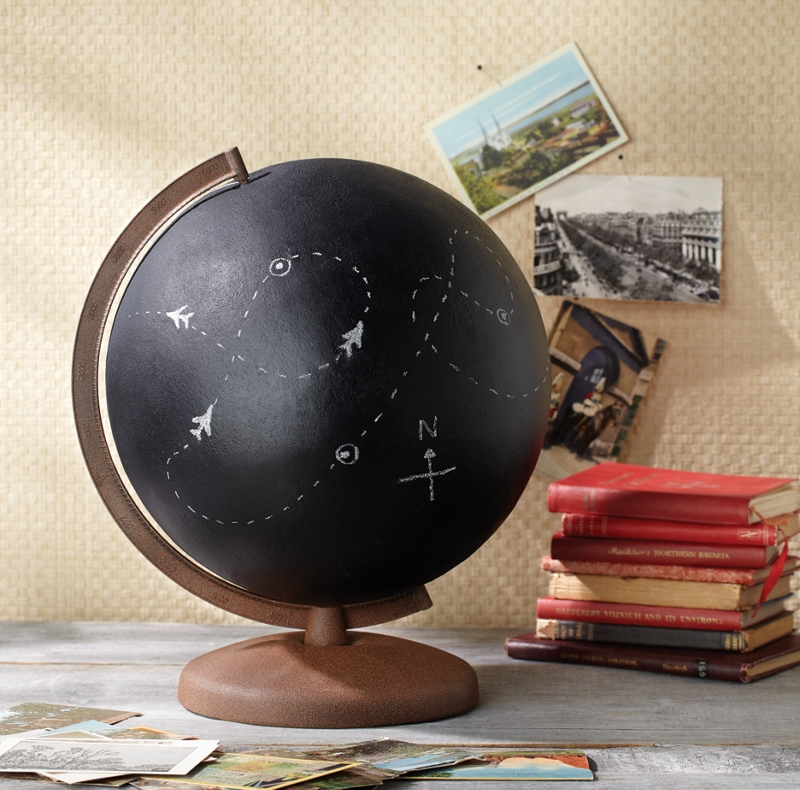 Put your mark on the world by repurposing a globe into a chalkboard. Prepare globe and stand by cleaning off all dust. With globe still attached to stand, spray all sides with Krylon® Chalkboard Paint in Black, according to manufacturer’s instructions; repeat with several light coats of paint to achieve good coverage. Allow to dry completely. Carefully remove globe from base, if possible. If not possible, completely mask globe with paper and tape leaving only the stand exposed. Spray stand with Krylon® Fine Stone in Cinnabar according to manufacturer’s instructions. Repeat coats as necessary to achieve full coverage. Allow to dry completely. Reattach globe to base or remove masking from globe. Prime chalkboard paint by rubbing the entire surface of globe with chalk and then wiping away. Write messages or quotes on globe surface with stick of chalk.